It’s a crisp, fall Saturday morning in the heart of the Magic City, and the elusive sun is far beyond the horizon, not scheduled to rise for another hour. As most residents lie asleep in the comfort of their own homes, a sizeable group of runners has converged at the Trak Shak’s downtown Homewood location. Alert and energetic at this young hour, they are ready to embark on lengthy treks that range in distance from seven to 22 miles. While pounding the pavement at the crack of dawn may not be everybody’s cup of tea, especially on a brisk weekend morning, a dedicated and growing number of people routinely congregate at the same time every Saturday to start their weekend in the most rewarding way they know. For some, it begins with a leisurely one-hour trot. For others, it begins with an arduous three-hour grind. But regardless of their varying speeds and distances, all are united by a common factor. As members of the booming Birmingham Track Club (BTC), the runners enjoy a special bond of friendship as they passionately pursue healthy, active lifestyles. The Saturday morning group run represents just one of many club-sponsored events that offer rich opportunities for both aerobic and relational development, providing members with the opportunity to fulfill the club’s original mission. Founded in 1979 by Dr. Arthur Black, the BTC was launched with hopes of improving the overall health and wellness of Birmingham area residents through running. Although the club started with only a handful of people, it has grown steadily since its inception and currently boasts 1,300 members. Much of that membership base, however, is newly acquired, added over the course of the club’s present revival that began just over seven years ago. The spark that ignited the BTC’s resurgence, Morrow said, can be credited to former club president Jennifer Andress. 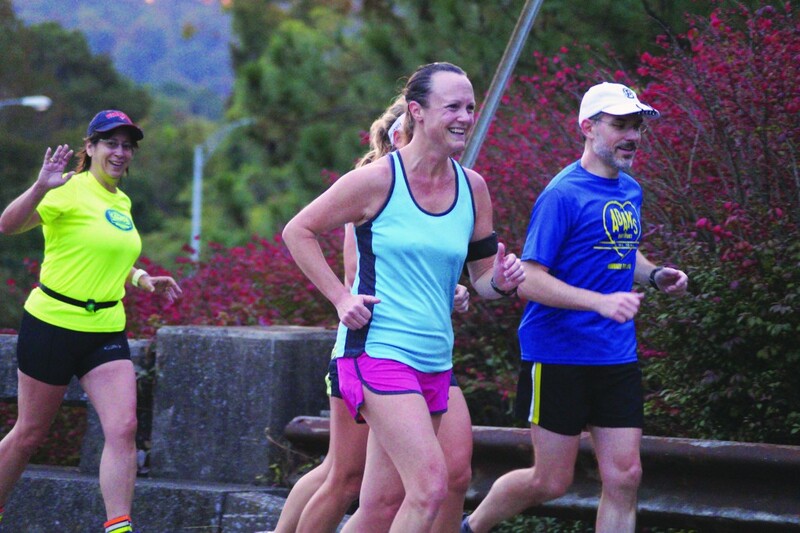 Largely thanks to the added element of fun, club membership has more than doubled since Morrow joined in 2008, making the BTC the largest Road Runners Club of America (RRCA) affiliate in Alabama. From free coaching and reduced race fees to an intriguing retailer discount program that includes merchants like Taco Mama and Mountain High Outfitters, there are a number of perks that come with club membership. Plus, joining the BTC won’t break the bank, as it offers a 50 percent discount to students, military and first responders on the already minimal $24 annual rate. One key way of doing that is through building a strong sense of community within the club’s membership. As any former or current runner can attest, there’s motivational power in accountability. “It’s so much easier to run with a group than to run by yourself,” Mike Ballard, a four-year BTC member, said. 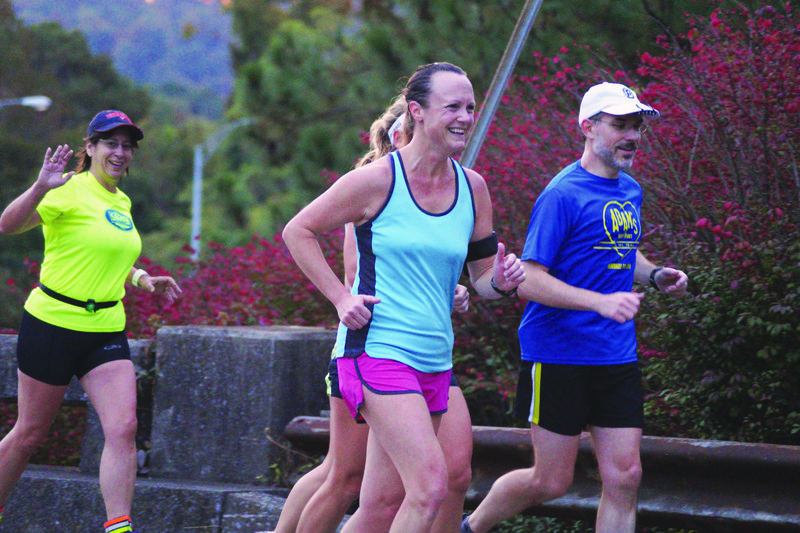 Ballard attends the weekly Saturday morning long runs and various club-sponsored running events throughout the year, noting the sense of community as his favorite club aspect. “I think just being part of the running community and trying to live a healthy lifestyle with a bunch of other people that are trying to do the same thing,” Ballard said. In addition to the weekly Saturday morning long runs, the BTC hosts an annual race series, collectively participates in a Triple Crown Half Marathon Challenge and puts on a number of socials throughout the year, including an End of the Year party and a night out at a Birmingham Barons game. As evidenced by the swift pace of growth, coupled with an overwhelmingly positive response from club members, that approach appears to be working.